Is Your Gate opener Getting Some Interference? Has your automatic gate ever opened without you signalling it to? Something else might just be causing it to think you are. Likewise, this can work the other way around. Your automatic gate signals can actually interfere with other automatic gates and even military devices! This may seem costly, but chances are that you will have to do it eventually, anyways. If you have a automatic gate opener manufactured before 1993 it is actually required by law that you replace it for safety reasons. All in all, this is by far your best options. A automatic gate opener that does not use radio signals to open is your best bet. This will cost a little more but you will be able to open your automatic gate with your android or Iphone. That alone should make it worth it. How in the world does this happen, though? It really isn’t complicated. Older automatic gate openers rely on radio signals to operate. Many different pieces of common technology use these same signals. Literally everything from military and police radios to your car radio and appliances. God forbid you should live next to a radio station. If you don’t live near any of that, then you have to remove every electronic one by one until you isolate the source of the problem. If all else fails, your automatic gate opener just isn’t working properly anymore. This might just sound like too much work for you. It is either that or you just do not have that kind of time on your hands on any given day. That is perfectly okay. It is often better to call in a professional to handle this sort of thing, anyways. You want the job done right the first time, don’t you? Sure it may cost a little bit more but it will likely save you money in the long run. Unless you are a automatic gate expert, something could easily slip by you and haunt you later. So who do you call for automatic gate opener interference? Sameday Gate Repair, of course! We have been handling this sort of thing for decades now. Our experienced automatic gate service technicians can literally handle anything your automatic gate may throw (Or fall off) at us! The best part? 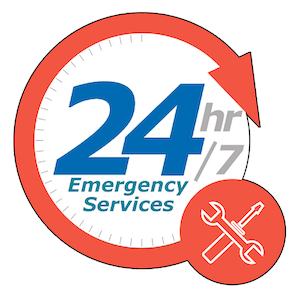 You can call Sameday Gate Repair at (877) 467-1797 anytime of day and anytime of year! We always have your back.